Tired of letting tenants get away with ripping you off? Doing your own collection may seem pointless because your former tenant is ignoring you. Unfortunately, going to a collection agency means losing a huge chunk of your money to commission. 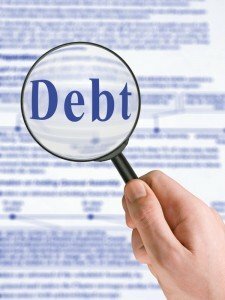 An effective alternative is to do your own debt collection through the automated self-service option offered by tenant debt specialists Rent Recovery Service. This service allows you to send a demand letter from a bona fide debt collection agency directly to your deadbeat tenant. The letter will have the same force and effect as though you’ve turned the account over for a higher paid commission collection. The difference is in the price. A letter costs less than twenty dollars, and you get to keep anything you collect. Debt collection companies will start the same way–by sending out a series of demand letters. It’s surprising to see how many tenants will pay as soon as they receive the letter, because now they realize the landlord is serious about collecting what they are owed. An added benefit is that you can report the deadbeat tenant to the credit agencies at the same time. Why let them walk away from their debt with no consequences? Often delinquent tenants are waiting on the sidelines, watching to see if the landlord is going to act. DIY collection puts you in control of the game– and helps them re-prioritize which debts they need to pay. If the demand letter doesn’t work, you still have the opportunity to send the account out for collection. But this way you will know that you didn’t just toss an easy file to the collection agency. Don’t assume your tenant can’t pay and that you have no recourse when they rip you off. At this price, you have little to lose by giving tenant debt collection a try–and you just might start the New Year off with a little more money in your pockets. When it comes time to collect tenant debt, go to the largest and most aggressive landlord collection agency in the country–Rent Recovery Service. Choose “Flat Fee Based Collections” from the menu of services.